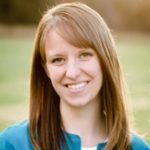 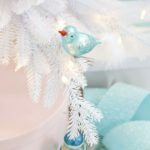 Owner, photographer, writer, and decorator of TIDBITS, Cami wanted to showcase her passion to the wider audience, hoping to motivate others to pursue their own path. 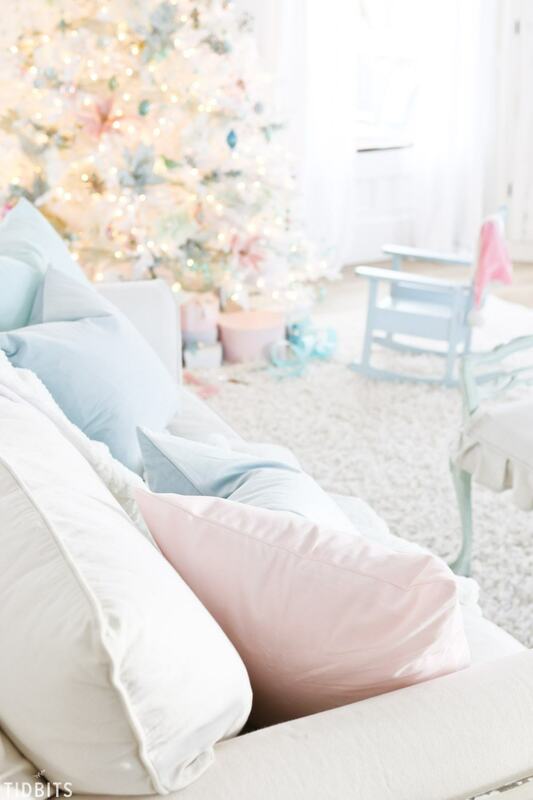 Her style combines simplicity, elegance of a French farmhouse, and tranquility of a coastal cottage. 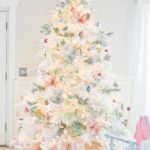 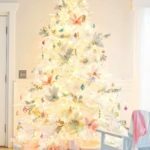 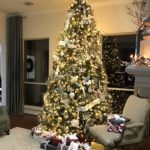 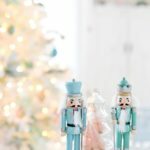 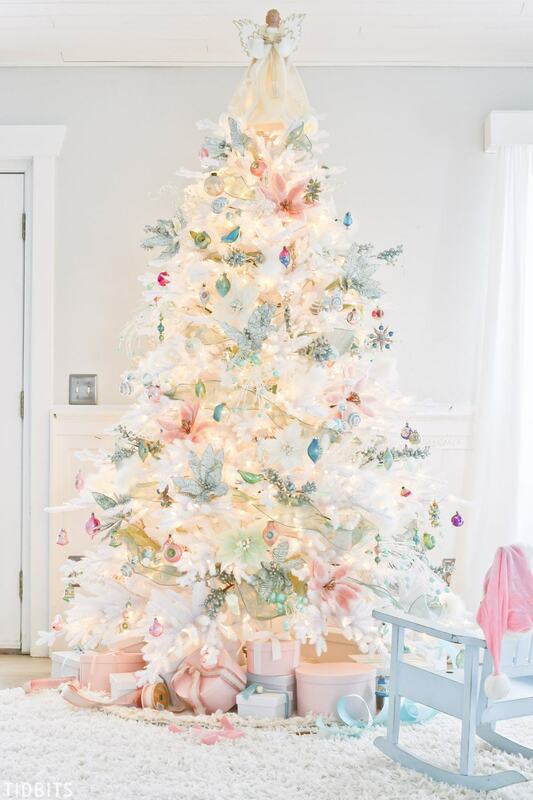 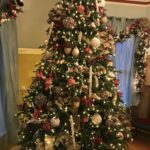 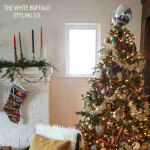 If you’ve been wishing for a lively and cheerful Christmas season, then Cami has the answer you’re looking for – in the form of a brilliantly decorated Denali White Christmas Tree. 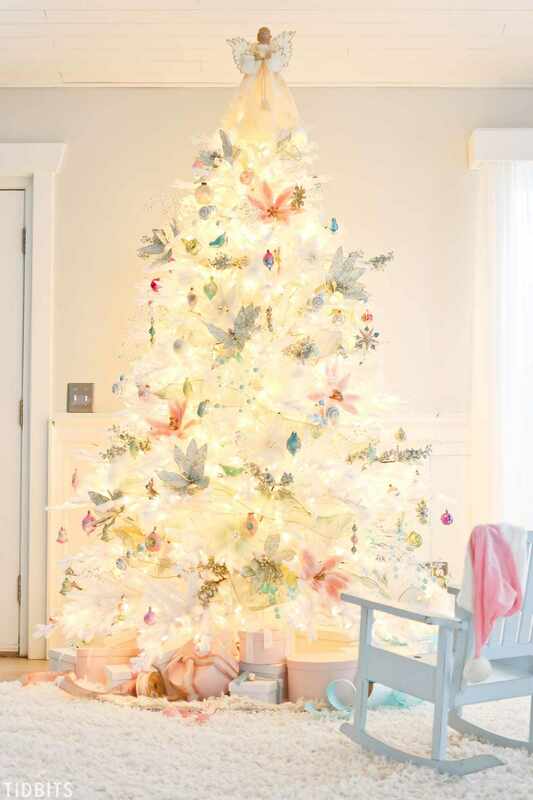 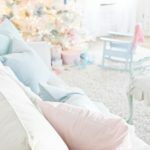 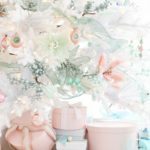 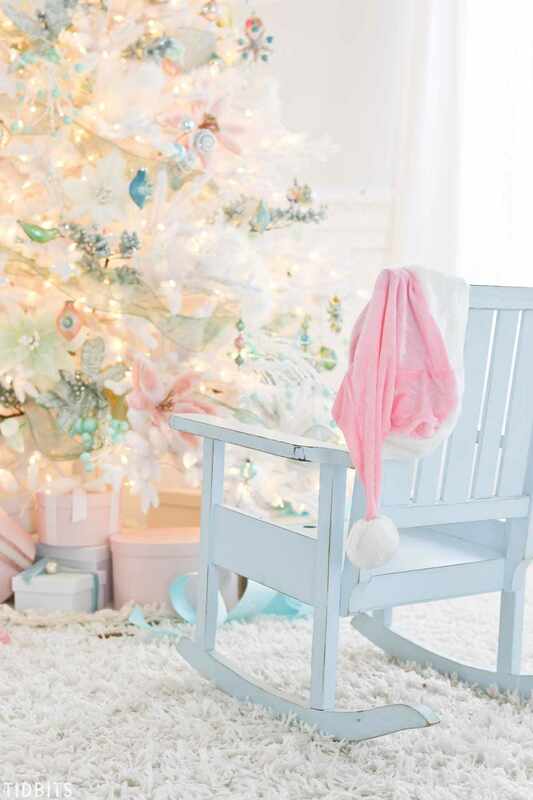 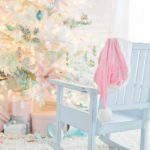 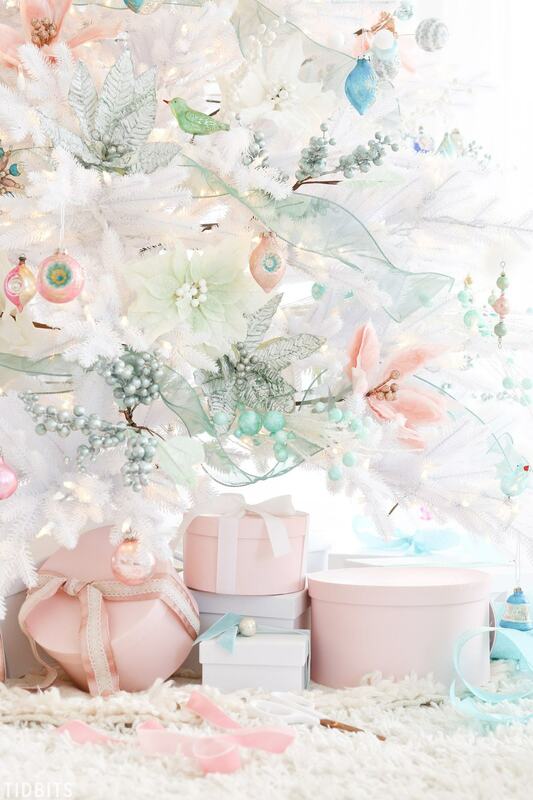 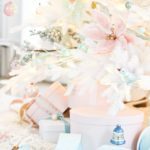 After you’ve set up your tree, adorn it with the complementary pastel hues of the Mini Christmas Tree Decorating Set and silvery Juliette Fringed Tree Skirt. 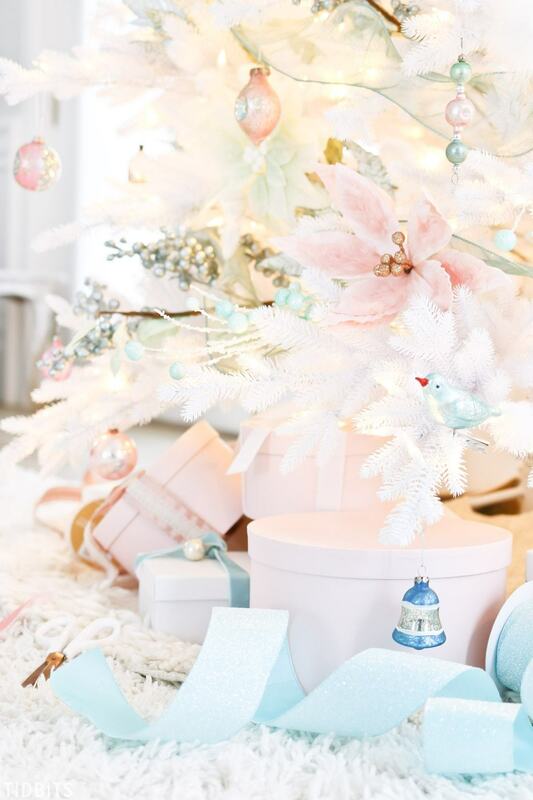 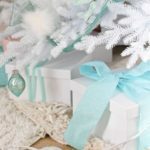 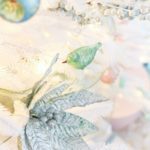 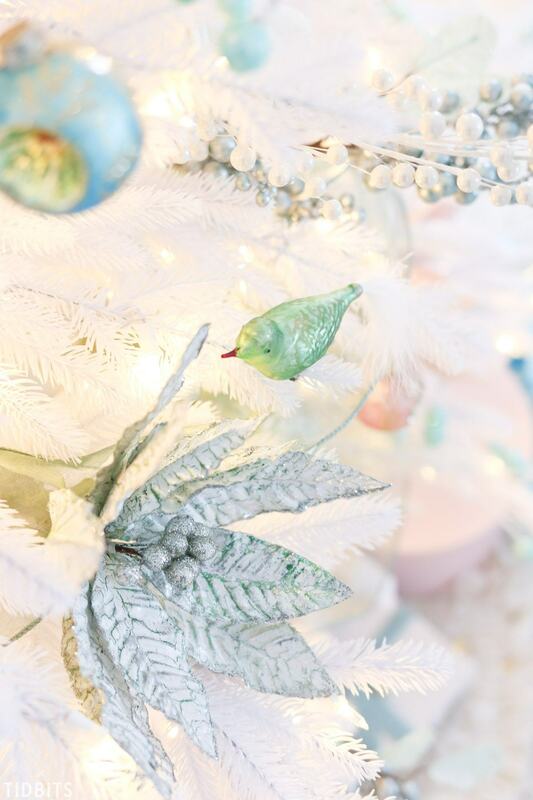 To add more color and emphasize the tree’s natural beauty, place Frozen Berry and Icy Blue Poinsettia Picks in elegant patterns around the branches. 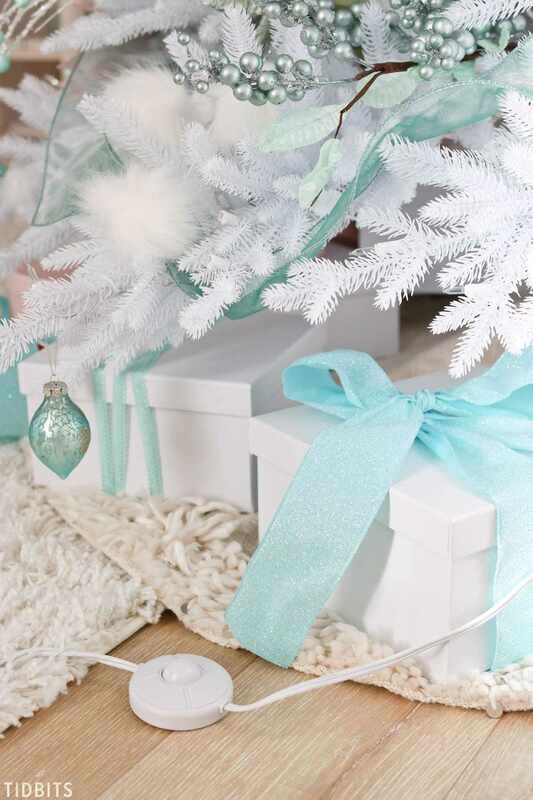 Take your design a step further by wrapping the foliage with Blue Dupioni Ribbon and any other fabric that may catch your eye. 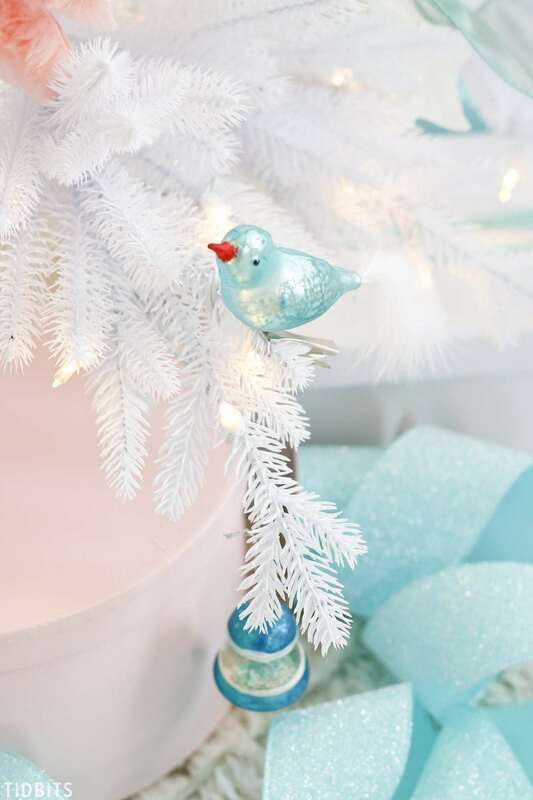 Complete the look with a graceful topper, like the Fiber Optic Royal Angel Tree Topper. 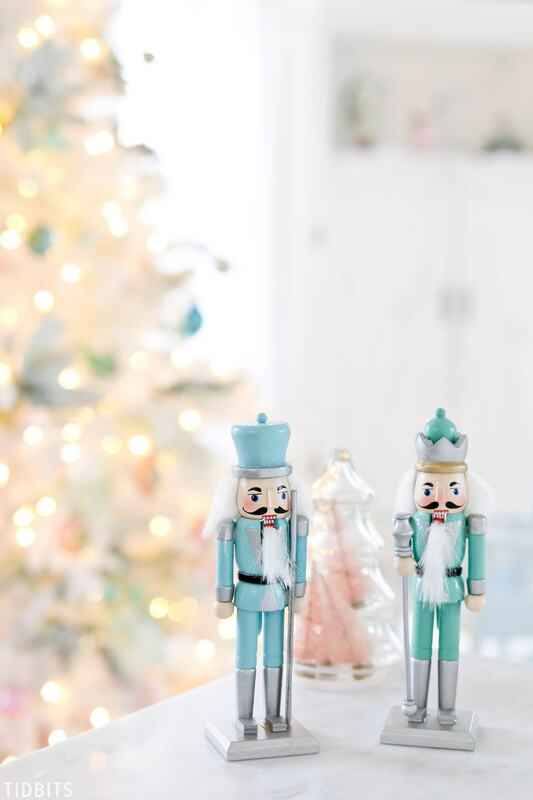 Now you’re ready for another remarkable holiday season!